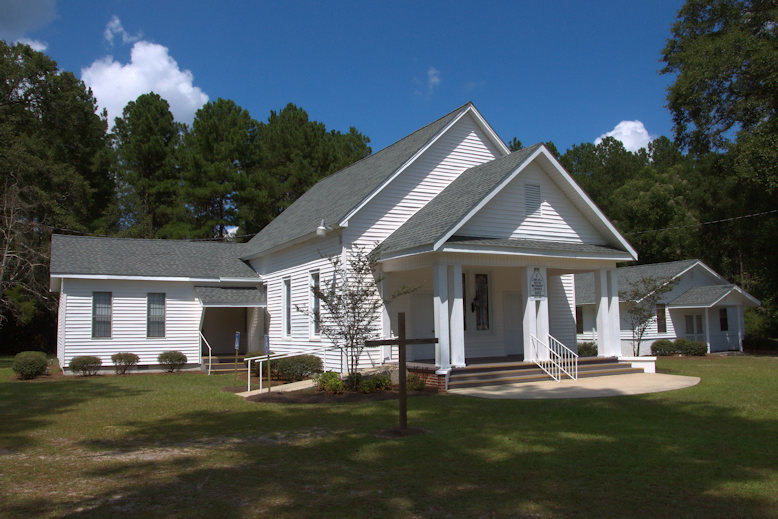 The South Georgia Conference of the United Methodist Church notes: The story is told that a circuit rider came to hold services at the site of this church and no one came, so he called it “Lone Hill”. The first building was erected on this site, in Coffee County, between 1848 and 1854…The adjacent cemetery contains the graves of the early settlers to the community. The earliest marked grave is of the infant son of Dan and Winafred Newbern born and died January 4, 1848. The cemetery is also home to the National Champion Eastern Red Cedar.